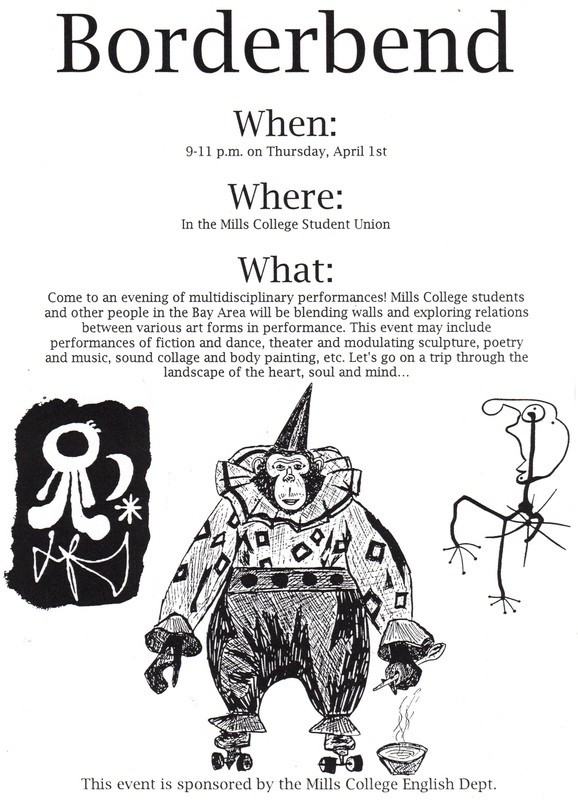 The Borderbend Performance Series begins at Mills College (Oakland, CA) in 1999. Catherine Clark Gallery, Pro Arts, and Artists' Theater Workshop. Borderbend performances started in Chicago.